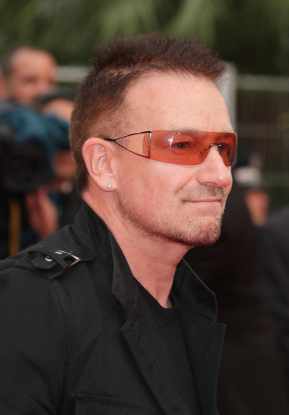 U2 lead singer, Bono, has denied claims that he is unwell after he was seen leaving a hospital in Spain. Doug MacLaurin has the story. Hey there, merely wished to give you an insight right up. The text on your content is jogging from the screen on Safari. I am undecided in this case if it is a difficulty or possibly something regarding browser compatibility. Jutt thought I’d personally inform you. The actual design and style look great though! I desire that you get the problem sorted out before long. Thanks. Hi. The InShape News site is not compatible with all web browsers and screen resolutions. Sorry, but with today’s technology, it is impossible to cater to everyone. The optimal settings are listed in the footer of the ‘Home’ page. Thanks. InShape NewsFlash has a theme that was customised by myself. Hello there, simply became aware of your blog through Google. An unputdownable language. You make sense on this matter. An engrossing word. I judge that you should indite many on this message, it power not be a taboo field but generally people are not sufficiency to verbalize on much topics. An exciting communicating is worth notice. I expect that you should indite statesman on this substance, it strength not be a preconception matter but mostly grouping are not enough to utter on much topics. To the next. An absorbing discourse. You should write more on this content. This is very interesting, You are a very skilled blogger. I have joined your rss feed and look forward to seeking more of your great posts. Also, I have shared your site in my social networks! Thanks for an informative site. Where else could I get that kind of info on such an ideal method? I’ve a mission that I am just now working on, and I’ve been on the look out for such information. I have been exploring for a bit for any high-quality articles or blog posts on this kind of area . Exploring in Yahoo I finally stumbled upon this site. Reading this info. So I am satisfied to express that I’ve come upon just what I needed. I for sure will make sure to remember this website and give it a glance regularly. hello very good internet site i will definaely come back and see once again. A gripping discussion worth noticing. You should compose more on this theme. Attractive selection of content. I just stumbled upon your website and I enjoyed your blog posts. Anyway I will be subscribing to your feeds.